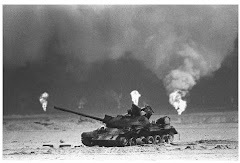 Editor’s Note: Many Gulf War veterans with Gulf War Illness have long reported neurological symptoms, but standard neurological tests have often come up short in providing objective confirmation of their symptoms. Among those tests are electomyograms (EMG) and nerve conduction studies(NCS, also known as Nerve Conduction Velocity, or NCV), which test for large fiber peripheral neuropathy. In essence, the theory is that if there are small fiber issues, there will also be large fiber issues. However, the field of neurology has grown in recent years to recognize the existence of small fiber peripheral neurophathy (SFPN). Many of the symptoms of SFPN overlap Gulf War Illness burning, paresthesias, pain, fatigue, cognitive, and neuro-immunological dysfunction symptoms, and could play a role in Gulf War Illness – particularly if it could be shown that SFPN can be caused by Gulf War toxicants or is more prevalent in veterans suffering from Gulf War Illness. The Cleveland Clinic has an excellent article on Small Fiber Peripheral Neuropathy on its website. 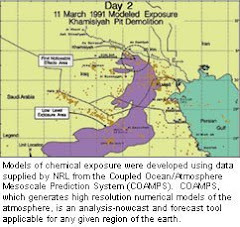 The article below describes a new test for SFPN, which is not yet widely available or widely accepted among neurologists, but which may help to provide objective confirmation of some of the symptoms of Gulf War Illness. (ArticleAlley.com) - Peripheral neuropathy, or the abnormal functioning of a nerve in the feet or ankles is becoming increasingly more prevalent in society. On a regular basis, I have individuals coming to our office to be evaluated for numbness, tingling, shooting pain, electrical shocks, feelings of cold, burning pain to the feet. Many of these individuals don't have diabetes (the most common cause of neuropathy in the United States), but still have the symptoms. They have neuropathy and often wonder how extensive it is our how many problems they may have from this neuropathy. Over the years, many tests have been developed to help evaluate the nerves. A nerve conduction test is useful and can help people evaluate the functioning of the larger nerves. These tests, however, may be inconclusive for small nerve fiber damage as often seen in neuropathy. Vibration testing, light touch testing, temperature (hot-cold) testing and PSSD testing have all also been utilized to help in this respect. But they have varying results dependant on the physician performing the tests. So the question usually is how a patient can get the best results or best understanding of the extent of their disease and more importantly how they can evaluate improvements from various treatments. A newer test, Epidermal Nerve Fiber Density testing, is a technique that allows the diagnosis of small fiber neuropathy with 97% accuracy. This is the analysis of a 3mm punch biopsies of the skin to count the number of nerve fibers and compare to the usual number. Since the skin is quite consistent in this respect, the value can be compared to the standard and confirm the presence of small fiber neuropathy. No other test is as accurate for small fiber disease. The other great advantage of epidermal nerve fiber density testing is the ability to evaluate the improvement or regrowth of small nerve fibers after treatment is undergone for neuropathy. Comparing to the previous biopsy, treatments can be shown to be effective by more than just subjective measures. It doesn't just feel better, it really is better. This is of great value to showing the value of newer treatments to not just stop neuropathy symptoms but hopefully reverse the progression. So as you suffer with your neuropathy and are told that you "probably" have neuropathy, this new test may be a great opportunity to quantify the presence or absence of neuropathy. Then you can work with a specialist to reverse these symptoms and return to normal life. In other words, you can optimize what you were born with!